It’s that time of year again! This weekend is our annual Secret Garden Tour from noon to 5pm Saturday and Sunday. 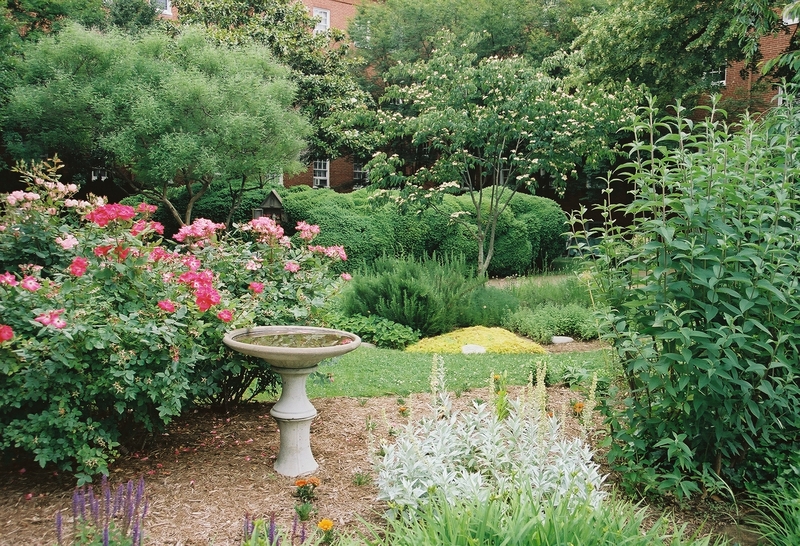 Attendees will be able to tour 13 beautifully landscaped gardens within the heart of Annapolis’ historic downtown that are otherwise closed to the public. The tour this year features such historic gems as the Chase-Lloyd House, the Peggy Stewart House, and, of course, the Hammond-Harwood House. You don’t need to be an avid gardener to enjoy the sights and smells of these wonderfully maintained urban oases. Whether large or small, roses or hydrangeas, these gardens promise to be a special treat. Tickets are still available. You can purchase them for the advance price of $25 by calling 410-263-4683 or by visiting our website. Please note that advance tickets end today, Friday, May 31 at 4pm. Tickets will be available at the Hammond-Harwood House (19 Maryland Ave., Annapolis, MD 21401) on Saturday and Sunday for $30. We hope you come smell the roses! Tomorrow we are having a Pride and Prejudice-themed tea at Hammond-Harwood House, so my brain has been all Austen, all the time. And I’m not the only one; since this year is the 200th anniversary of Jane Austen’s best-known work, people all over the world are celebrating. The most impressive commemoration was put together by the BBC, and involved recreating the Netherfield ball described in the book for a program called, “Pride and Prejudice: Having a Ball.” They brought together experts on Regency history, food, fashion, and dancing, and the results look stunning. The program should be available online soon, and I can’t wait to watch!